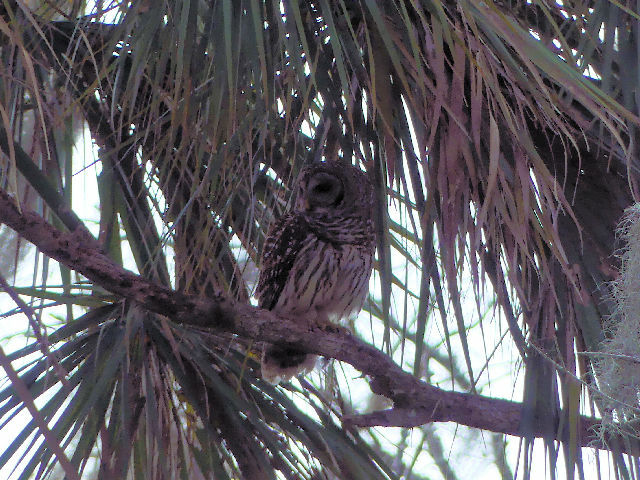 We were recently out to Circle B Bar Reserve and spotted this Barred Owl. There have been numerous articles here about this Owl, but this is the first time I have seen one in the Wild. I have heard them, but not seen them. As we were getting our cameras out of the car [and my walker] we spotted a group of birders concentrating on one area. They pointed out a palm tree with a dark figure in it. 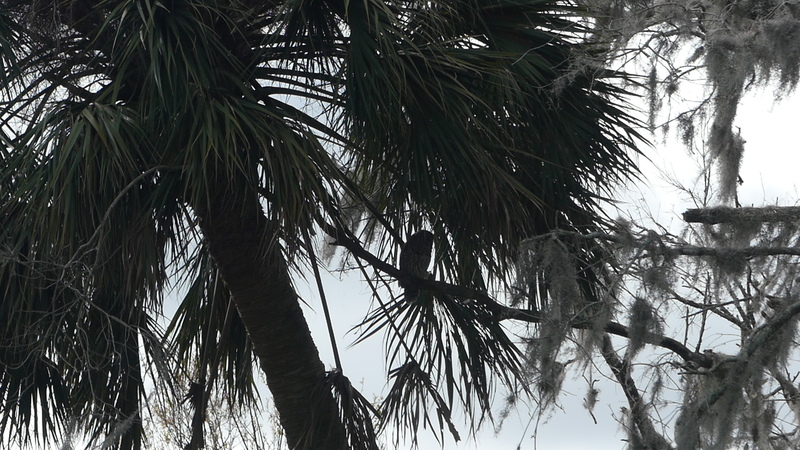 Barred Owl in the Palm Tree – Do you see it? The rest of the photos have been lightened up to see it better. When we first spotted it, it was still, as if asleep. 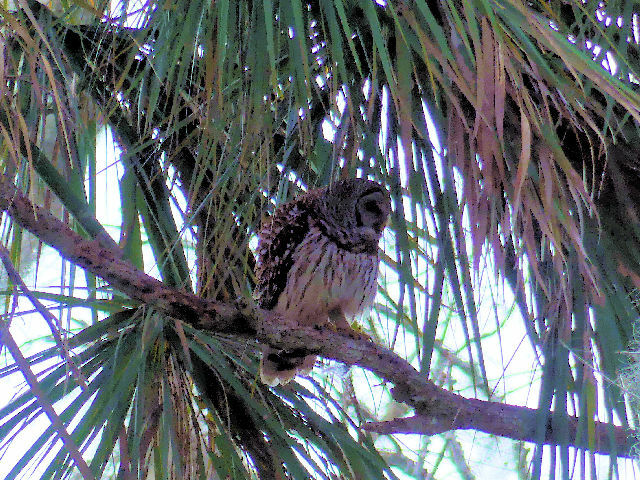 After walking to the marsh and back, I searched for the Owl again. Sure enough, he was still there. This time looking around. [top two photos] It is always enjoyable to spot an owl in the daytime. They are mostly nighttime birds. “The beast of the field shall honour me, the dragons and the owls” Why do they honor the Lord their Creator? One reason is because He “give waters in the wilderness, and rivers in the desert, to give drink to my people, my chosen.” The water that is provided for people also provides water for the critters and birds to drink. May this Barred Owl be a reminder of the love and provisions that the Lord provides for us. He cares about us and wants us to ask for and thank Him for all the good provisions (food, water, house, bed, clothes, parents, etc.) He gives. This entry was posted in Bible Birds, Birds, Birdwatching, Christian and tagged Barred Owl, Bible, Circle B Bar Reserve, Creation, Home School, Kids, Nature, Photography, School Student, Youth. Bookmark the permalink.